Seeing an Annunciation painting in Italy is about as easy as it was to find hair gel in a locker at my midwestern high school in the 80s. Who knows, maybe all that hair gel helped some of those kids get closer to god too. But after a year of touring many of the greatest by the greatest, there was one unexpected version that lingered. Maybe it was the unfamiliarity of the artist and the image, maybe it was the delicacy of the details, or perhaps it was the obliqueness of Mary’s stare in Antonello Messina’s Annunciation. The painting itself shimmers and shines. It is modest in size, and since it is in a less touristy venue in Palermo, you can get within inches of it all by yourself. I think it may even be without glass, but I may just be wishfully remembering my closeness to her. There are fine hairs coming from under the veil, so delicate, so human, so pure. And the veil casts a shadow that comes over her forehead and slightly over her eye, as if her face is a sundial recording the moment of this significant event. The composition is simple. 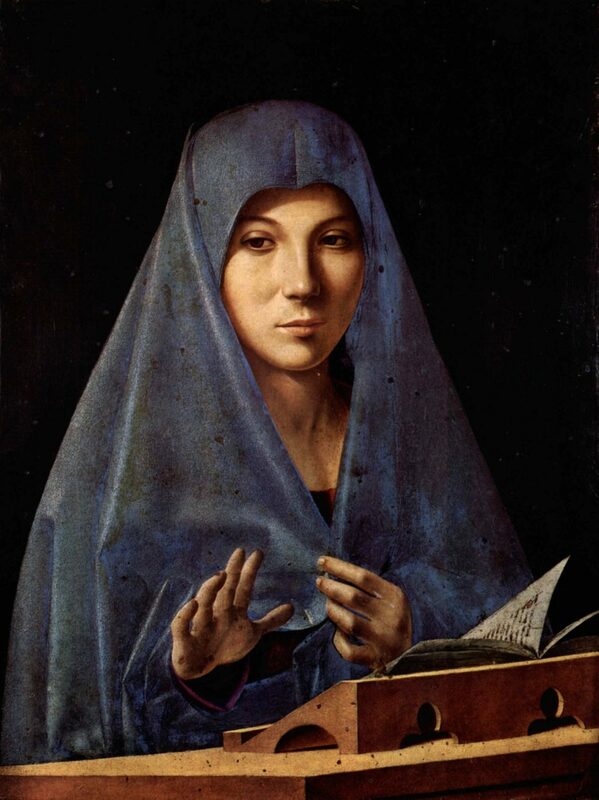 Mary is covered in a cascade of blue cloth, reading at a modest bookstand. There is no middle or background, save for the impossibly black void engulfing her. The thing about this painting that really sets it apart from any of the other great, and certainly more famous Annunciation paintings, is its lack of descriptive or narrative information. Piero, Fillipo, and Fra, to name a few of my favorites, always depict the angel delivering the news and often double or triple up on symbolism, including a depiction of god or divine light, a dove or a lily. In Messina’s, his formal skill and economy tell the story. Mary has one hand lifted as if in a brief state of shock. She looks out of the frame with a tinge of sadness into the vast, glorious and problematic future for her and her child. There is nothing more to say: Mary knows. 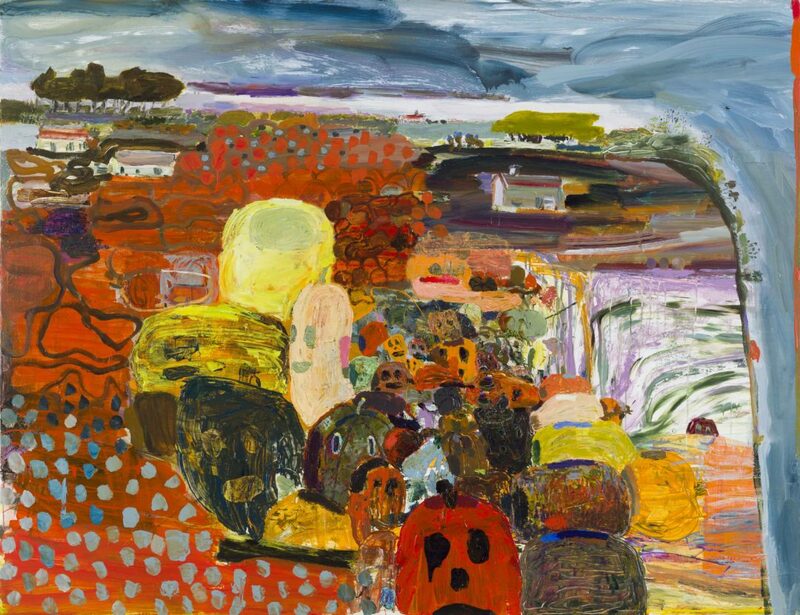 I was moved by this painting on its own terms but, as I think about narrative in my own paintings, I am always considering how much to say and how to say it. In Messina’s Annunciation, he says very little, but is able to say it all.